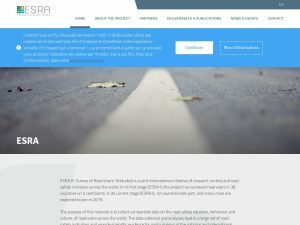 Based on regular surveys ESRA (E-Survey of Road users Attitudes) provides scientific support to road safety policy making at the national and international levels. It provides information from Europe, America, and Australia and Oceania on a wide variety of road safety themes and different transport modes. It publishes thematic report as well as country factsheets. 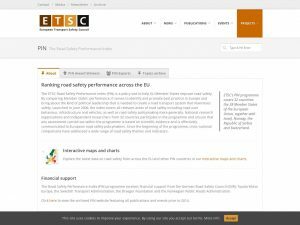 The ETSC Road Safety Performance Index (PIN) is a policy tool to help EU Member States improve road safety. By comparing Member States’ performance, it serves to identify and promote best practice in Europe and bring about the kind of political leadership that is needed to create a road transport system that maximises safety. 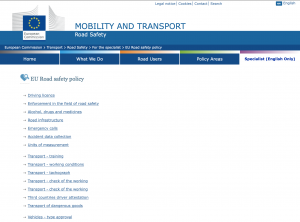 For an overview of all formal road safety related EU Directives, Regulations, Decisions, etc. The European Road Safety Observatory of the European Commission provides state-of-the-art syntheses of a wide variety of road traffic risks, specific risk groups, and countermeasures. It also provides basic factual information about road safety issues as well as country reports. International Road Traffic and Accident Database (IRTAD) collects and aggregates international data on road crashes. The database includes validated data for 32 countries. 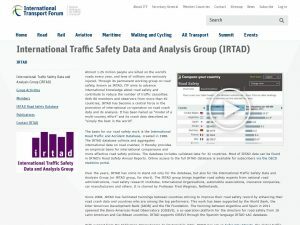 Most of IRTAD data can be found in IRTAD’s Road Safety Annual Reports. Online access to the full IRTAD database is available for subscribers via the OECD statistics portal. 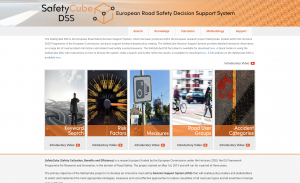 The European Road Safety DSS has been developed within the European research project SafetyCube, funded within the Horizon 2020, the EU Research and Innovation Framework Programme. It aims to support evidence-based policy making and provides detailed interactive information on a large list of road accident risk factors and related road safety countermeasures. 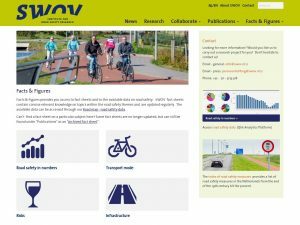 SWOV Facts & Figures provides you access to fact sheets and to the available data on road safety. SWOV fact sheets contain concise relevant knowledge on topics within the road safety themes and are updated regularly. 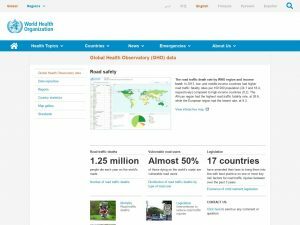 The WHO Global Health Observatory (GHO)includes various interactive maps and graphs with general road safety statistics and interventions taken in countries around the world. It also gives access to the road safety information of individual countries.